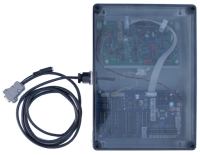 The Magnetometer PCB is provided in an splash-proof enclose with mounting hardware to allow the tilt of the board to be adjusted to null the local field. Note that at installation the box will also need to be rotated to null the East-West component. Sealed grommets are provided for the cabling. 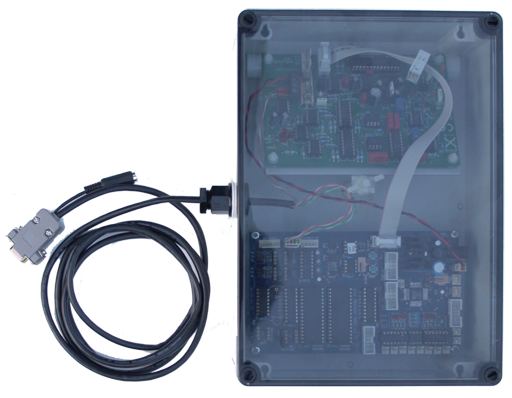 A UKRAA controller is installed in the box which allows autonomous data logging of several day's worth of data. Connection to the PC for data downloading is by means a serial link.